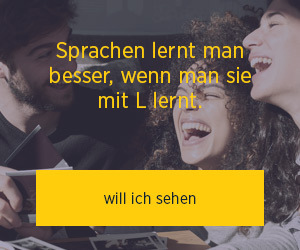 Beispielsätze aus externen Quellen für "prompt"
Anlass für diese Frage ist nicht der schlimmste Konjunktureinbruch seit den 1930er Jahren. That question is not prompted by the worst economic slump since the 1930 s ’. Dieses sehr prompte Handeln ist von bestimmter Seite als Panikreaktion kritisiert worden. This very prompt action has been criticised in some quarters as a panic reaction. Werden wir sie ohne seine Führung und Anleitung weiterhin stellen? We will continue to ask them without his leadership and prompting? Dieses Erlebnis veranlasste ihn die Duineser Elegien zu verfassen. This experience prompted his writing the Duino Elegies. Er hat zu Recht die Kommission auch für die mehr oder weniger prompte Erfüllung der Aufträge gelobt. He rightly praised the Commission for its more or less prompt fulfilment of its mandates. Denn der Anlaß ist eigentlich eine rein persönliche Angelegenheit von Professor Pelinka. It was prompted by a purely personal matter concerning Professor Pelinka. Das Kyoto-Protokoll hat Forschung dieser Art bemerkenswerterweise nicht gefördert. Contrary to what one would imagine, the Kyoto Protocol has not prompted this research. Die nigrische Jugend reagierte sofort auf die Angriffe. The youth of Niger was prompt to react to the attacks. Das darf die schnelle Umsetzung der Richtlinie jedoch nicht verzögern. This should not, however, slow down the prompt implementation of the directive. Mich betrübt gleichermaßen die Ankündigung von Goodyear, die den Anlaß für diese Entschließung gab. Equally, I am saddened by the announcement made by Goodyear that has prompted this resolution. Eine schnelle und sichere Zuordnung ist häufig schwierig und teuer, aber nicht unmöglich. Prompt, high-quality attribution is often difficult and costly, but not impossible. Befass dich unverzüglich mit dem Problem. Die Erstellung dieser Rahmenrichtlinie entspringt also dem Bestreben nach klarerer Textgestaltung. The preparation of this framework directive is therefore prompted by a desire for rationalisation.